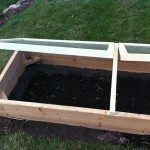 Building a greenhouse, or just thinking about and researching greenhouse gardening info? Then you already know we can do this the easy way or the hard way. 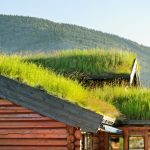 Keep reading for more information on greenhouse gardening, including building greenhouses and how to use a greenhouse for growing plants year round. Building a greenhouse does not need to be difficult or even particularly expensive. The premise of how to use a greenhouse is also quite straightforward. A greenhouse’s purpose is to grow or start plants during seasons or in climates that are otherwise inhospitable for germination and growth. The focus of this article is on greenhouse gardening made easy. A greenhouse is a structure, either permanent or temporary, that is covered by a translucent material which allows sunlight to enter and heat the greenhouse. Ventilation is required to adjust the temperature accordingly on warmer days just as some sort of heating system may be required during cold nights or days. Now that you know the basics for how to use a greenhouse, it is time to figure out how to build your own greenhouse. What is it they say in real estate? Location, location, location. That is exactly the most crucial criteria to adhere to when you build your own greenhouse. When building a greenhouse, full sun exposure, water drainage and protection from wind should be considered. Consider both morning and afternoon sun when situating your greenhouse location. Ideally, sun all day is best but morning sunlight on the east side is sufficient for plants. Take note of any deciduous trees that may shade the site, and avoid evergreens as they do not lose foliage and will shade the greenhouse during the fall and winter when you need to maximize the sun’s penetration. Building plans for all of these can be found online, or one can purchase a prefab greenhouse kit to build your own greenhouse. 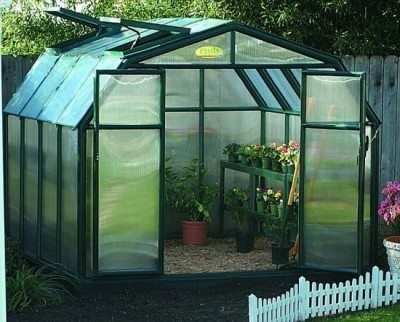 For greenhouse gardening made easy, a popular building is a pipe frame curved roof style, wherein the frame is made of piping covered by a single or double layer of ultraviolet shielding [6 mil. (0.006 inch)] thick or heavier plastic sheeting. An air inflated double layer will reduce heating costs by 30%, but keep in mind that this plastic sheeting will probably only last one or two years. Using fiberglass when building a greenhouse will extend the life a few years to up to 20. Plans are available on the web, or if you are good at math can be drawn up yourself. For a temporary, movable greenhouse, PVC piping may be cut to create your frame and then covered with the same plastic sheeting as above, more or less creating a large cold frame. Ventilation for greenhouse gardening would be simple side or roof vents that can be louvered open to adjust the ambient temperature: ideally between 50-70 degrees F. (10-21 C.) depending on the crop. Temperature is allowed to rise 10-15 degrees before venting. A fan is another nice option when building a greenhouse, pushing the warm air back down around the base of the plants. Optimally, and for the cheapest route, the sunlight penetrating the structure will adequately heat for greenhouse gardening. However, the sun only provides about 25% of the heat needed, so another method of heating must be considered. Solar heated greenhouses are not economical to use, as the storage system requires a great deal of space and does not maintain a consistent air temperature. A tip to reduce fossil fuel consumption if you build your own greenhouse is to paint plant containers black and fill with water to retain heat. If a larger or more commercial structure is being built, then a steam, hot water, electric or even a small gas or oil heating unit should be installed. A thermostat will help to maintain temperature and in the case of any electrical heating units, a backup generator would be handy. When building a greenhouse, the heater size (BTU/hr) may be determined by multiplying the total surface area (square feet) by the night temperature difference between inside and outside by the heat loss factor. The heat loss factor for air separated double plastic sheeting is 0.7 and 1.2 for single layer glass, fiberglass or plastic sheeting. Increase by adding 0.3 for small greenhouses or those in windy areas. The home heating system will not work to heat the adjacent structure when you build your own greenhouse. It is just not up to the task, so a 220 volt electric circuit heater or small gas or oil heater installed through the masonry should do the trick.